Tired of Noisy, Inefficient and Stressful Grooming Spaces? Pet Grooming Floor Plan Concepts with Digital Files USB Flash Drive provides you with state-of-the-art concepts to develop custom pet care business floor plans. All floor plans are described below, some with samples. Our models include small one-person grooming businesses to major pet care centers with grooming departments within boarding, daycare, retail and veterinarian facilities. Whether you have 300 square feet or thousands, we have plans for you. Thousands of groomers have never heard nor seen several of our superior design features, such as Silent Rooms, Noise Abatement Rooms and more surprises. In some models pet owners can enter and hear soft music playing even though 50 pets are on-site and dryers, vacuums and more equipment are turned on. Pet Grooming Floor Plan Concepts with Digital Files USB Flash Drive includes files of all the floor plans, including copies with Line-of-Sight Safety Analysis. Our floor plans even include Sales Forecasts showing you how much revenue you can possibly generate a year. Every plan has extensive commentary, design hints and directives and tips for materials and supplies. Be sure to view the Table of Contents below. 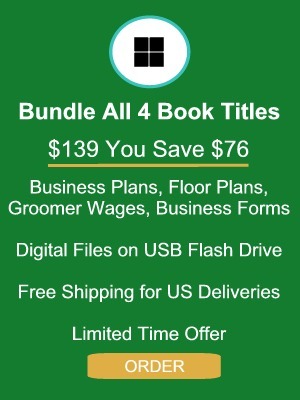 There is simply nothing else like these digital files and user guide for the grooming industry. Remember we are not providing you with drawing software. You can hand draw your custom plan with pencil and ruler. You can print our JPG and PDF versions on the USB Flash Drive. We used SmartDraw® software to design our plans, and our original files are on the flash drive in SmartDraw® format. Get your copy of SmartDraw® (free trial version may be available) and you can load and edit our plans! SmartDraw® has dozens of other uses for business owners for presentations, flow charts and much more. See www.smartdraw.com for more product information. If you are working with an architect to create formal plans your professional will enjoy working with our concepts. Many of our readers have given the Pet Grooming Plan Concepts to their architects and space design professionals. Most architects don’t know the specific needs of groomers, let alone Silent Rooms, Cattery Grooming Rooms or Noise Abatement Rooms. When possible, we will answer questions from your architect if you are a registered owner of this publication. There’s much more in the user guide too. We give you tips for materials and design, and an organizer to plan your purchases to build out your business. You will appreciate state-of-the-art knowledge on how we design the most unique professional grooming shops, small or large. Nothing like this is available anywhere else in the pet industry let alone grooming. Use the Table of Contents link below for extended detail on what is included. Would you like to see the Table of Contents and List of Illustrations for the Pet Grooming Floor Plan Concepts User Guide? Great! Click the link below to view it in a new window on your device. All floor plans appear twice in print within the user guide. The secondary copy includes “line-of-sight” safety analysis overlaid on the original floor plan. The flash drive has digital copies of each floor plan in JPG, PDF and SmartDraw® formats. Only SmartDraw® versions may be customized with floor plan software if you acquire at your cost a license for the SmartDraw® program downloadable at www.smartdraw.com. They may offer a free trial version. The perfect floor plan for a 300 square foot pet grooming shop suitable for one-person business, or a groomer and one bather. Including client relations area, grooming area and a bathing and drying area. Plenty of storage and room for some retail. Some groomers use this floor plan for a garage conversion but we do provide a garage conversion floor plan as well. The sample below has been colorized to help prevent copying. The floor plans are provided in the User Guide and USB Flash Drive are crisp black and white drawings. You can also modify this floor plan adapting it to serve as a grooming department added to pet business such as a boarding, veterinarian or daycare facility. What could be done with the “300 model” by adding another 200 square feet? A lot. The “500 model” has the look and feel of a larger pet grooming salon but with just 500 square feet. It is suitable for a roomy one person business, or a groomer and up to 2 employees. We even made room for a manager’s office and a second groomer workstation. You can also modify this floor plan adapting it to serve as a grooming department added to multiple service pet businesses such as boarding, veterinarian or daycare facilities. The sample above has been colorized to help prevent copying. The floor plans are provided in the User Guide and USB Flash Drive are crisp black and white drawings. 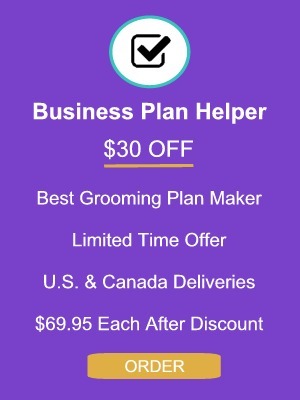 Note: If you are using Pet Grooming Business Plan Helper & Sampler by Grooming Business in a Box®, this floor plan is ideal for The Mary Groomer sample business plan. The “2000 model” is an amazing upgrade to the Pet Grooming Salon 1200 Model. It’s a 2,000 square foot corner unit with only one shared wall with other tenants, and more natural light. Amazing features include a true grooming “Silent Room” and more noise abatement features. Your customers can walk in and hear only soft music and clippers humming even with several dryers, central vacuum and clipper vacuum running in the bathing department. Many groomers have never worked in such a peaceful yet busy atmosphere. Your pet salon will be the talk of the town. Pre-grooming inspection table in Client Relations Dept. More and more groomers are converting their home garages into a work-at-home grooming business. However, don’t begin such a project without checking local zoning ordinances to see if it is legal to operate a business in your home. Our plan is 400 square feet with plenty of room to groom, and still be able to store some household goods too. Easily adapted to home basement shops rather than a garage. All the features of the standard garage conversion 400 model above but we know some groomers don’t have a utility room inside their home. Therefore we divided the garage into a grooming business plus the homeowner has all the conveniences of a private, separate utility room. Easily adapted to home basement shops rather than a garage. The Pet Care Center 4320 Model – Standalone is dream come true for very motivated pet grooming business owners who want to offer more than grooming services. Over 4,320 square feet of space for a truly state-of-the-art salon and spa, plus room for a pet boutique, pet foods, and a veterinary clinic or pet hotel even. The pride of any town is this model. The Pet Care Center 4320 Model has all the features of the Pet Grooming Salon 2000 Model – Corner Unit floor plan, and a few more. The grooming department requires about one-third of the overall square footage. Double set of sequential entry doors, stops fleeing pets! Perhaps you simply want to add a decked out professional Grooming Department to your business. 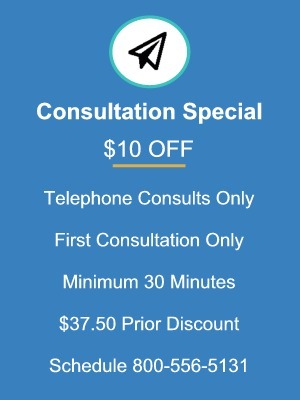 We’ve had dozens of consultation clients add them to veterinary practices, boarding and especially pet boutique operations. Here’s the ultimate grooming add-on. You can increase or decrease as needed the boutique area shown to meet your needs. What is most important is the Grooming Department has been located and designed to BE QUIET and not disturb your clientele in other departments. It has the upscale features of the Pet Grooming Salon 2000 Model situated perfectly in a high end boutique, and even room for pet food sales and inventory storage. Very adaptable. Here’s the right way to a grooming department.